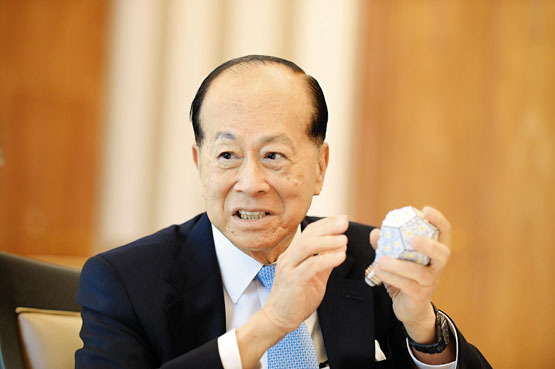 “Technology is the future” was Hong Kong billionaire Li Ka-shing’s slogan during an interview with local media Mingpao.com this week. He urged the special administrative region to focus more attention on innovative technology as it will become the driving force for the economy and alleviate poverty. For Li, the first step towards changing the world is as simple as switching to LEDs. The tycoon has recently partnered up with Canadian inventors, Tom Rodinger, Gimmy Chu, and Christian Yan to fund what is touted as the “most power-saving light bulb in the world”: the NanoLeaf (The Standard). Li’s own private equity investment fund Horizon Ventures teamed up with the NanoLeaf team this year. The investment from Horizon Ventures will bolster the company’s R&D and production capacity. The NanoLeaf bulbs first debuted on Kickstarter early last year and was successfully funded with pledges totaling US $273,278 (NT $8.3 million). The odd pentagon shaped 12W bulbs boast a life span of 30,000 hours with brightness close to 100W incandescent bulbs. While far pricier than other LED bulbs, US $35 for 75W, the NanoLeaf is touted as surpassing all other LED bulbs in energy efficiency. Li’s backing and endorsement will not only boost NanoLeaf’s sales and reputation, but will also help bring more attention to the energy-saving prowess of LEDs as the shift towards technological advancement gains speed.